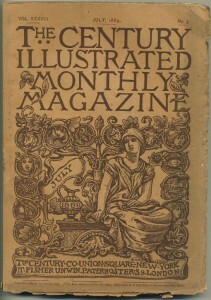 Issue by issue contents page listings for back issues of old Century magazines. 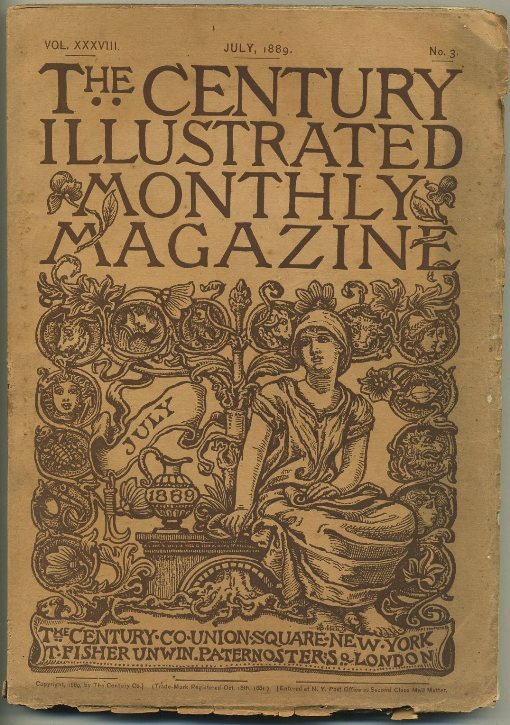 Locate subjects, articles, stories, authors, and other information hidden inside various vintage editions of The Century magazine. Resume of Fremont’s Expedition by M. N. O.
Present-Day Papers – The Social Problems of Church Unity – by Charles W. Shields, D.D. The Treasures of the Yosemite by John Muir with pictures by J.A. 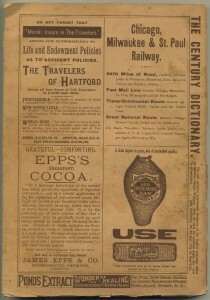 Fraser, Harry Fenn, W.H. Shelton, and A.B. Davies after photographs by George Fiske. Maps by Jacob Wells. That Yank from New York by John Heard, Jr.
7 pages about baseball including an illustration of the field and 10 additional small illustrations of players in various forms of action; talk of early days, first pros, formation of National League, with the bulk of the article an explanation of the game with explantions of rules and some strategy. No players are mentioned by name, though some clubs are. Illusions by H. S. Sanford, Jr. When Polly Goes By by M. E. W.
Condition: Complete vintage issue of the Century Illustrated Monthly Magazine grades VG or 4/10 with about an inch and a half of chipping along the edge of the spine where it joins the back cover; about a quarter inch of the paper covering the spine peeling up from the bottom edge. Some soiling to covers as shown with several slight tears around the edges of the front cover. Tightly bound and complete with some light soiling in the margins throughout; toning to pages, heavy on some. Neighbors by R. T. W. Duke, Jr.
A L’Empire by M. E. W.
The Abuse of Applause by Philip G. Hubert, Jr. The Devil’s Balloon by C. P. C.
Are We Just to our Architects? The Mothers’ Right by F. L.
Herbert Spencer by M. H.
The Smile of Mephistopheles – of the Vicar – of Olivia by A. W. R.
Consolation by M. E. W.
Divided by C. E. S.